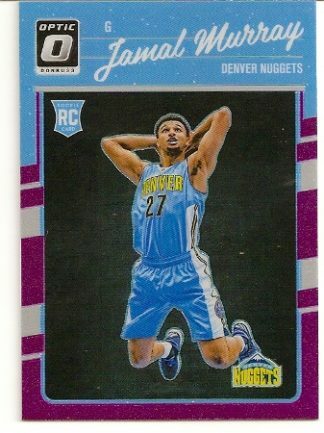 2016-17 Donruss Optic Purple Prizm Jamal Murray Rookie Card. Denver Nuggets. 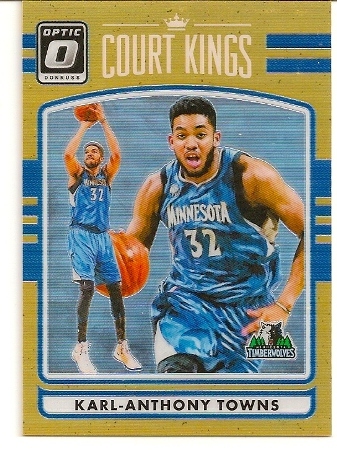 2016-17 Donruss Optic Court Kings Orange Karl-Anthony Towns Card Numbered To 199. Minnesota Timberwolves. 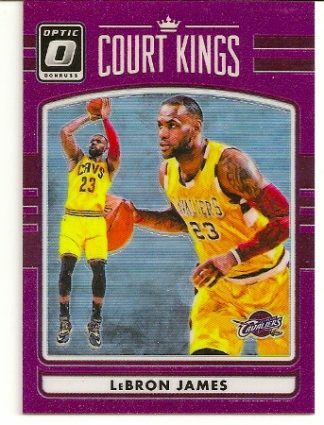 2016-17 Donruss Optic Court Kings Purple Prizm LeBron James Basketball Card. Cleveland Cavaliers. 2016-17 Donruss Optic Court Kings Orange Stephen Curry Card Numbered To 199. 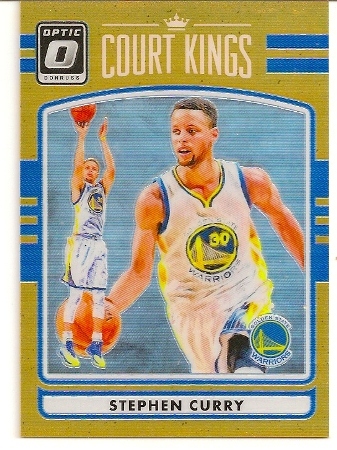 Golden State Warriors. 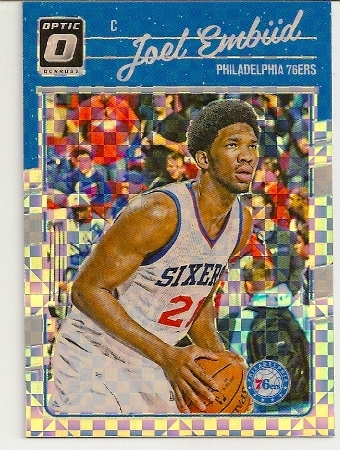 2016-17 Donruss Optic Silver Holo Refractor Joel Embiid Basketball Card. 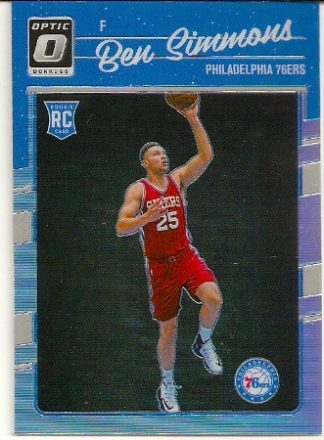 Philadelphia 76ers. 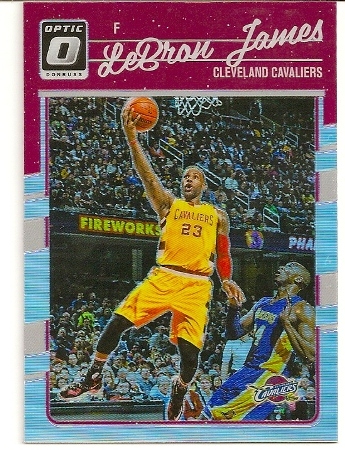 2016-17 Donruss Optic Silver Holo Refractor LeBron James Basketball Card. Cleveland Cavaliers. 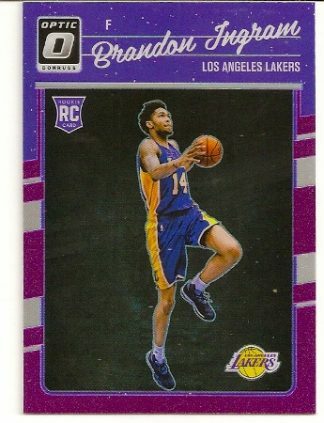 2016-17 Donruss Optic Purple Prizm Brandon Ingram Rookie Card. Los Angeles Lakers. 2016-17 Donruss Optic Silver Holo Prizm Jaylen Brown Rookie Card. 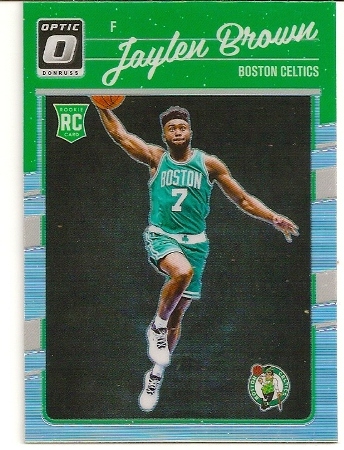 Boston Celtics. 2016-16 Panini Donruss Optic Checkerboard Joel Embiid. Philadelphia 76ers. RARE! 2016-17 Donruss Optic Jaylen Brown Rookie Card. Boston Celtics. 2016-17 Donruss Optic Holo Silver Prizm Refractor Ben Simmons Rookie Card. 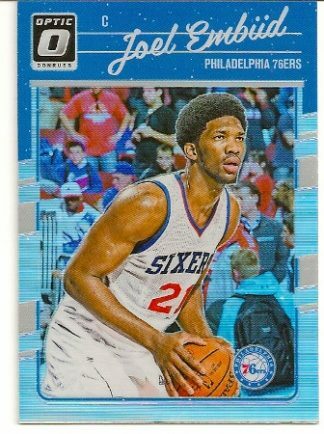 Philadelphia 76ers. 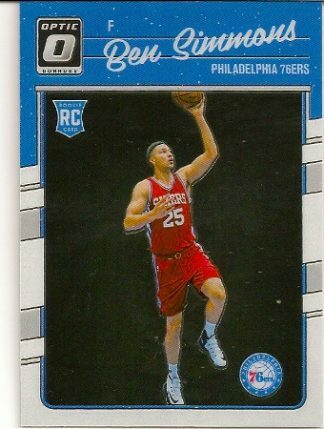 2016-17 Donruss Optic Ben Simmons Rookie Card. 76ers. 2016-17 Donruss Optic Prizm Refractor “Court Kings” Blake Griffin Basketball Card. 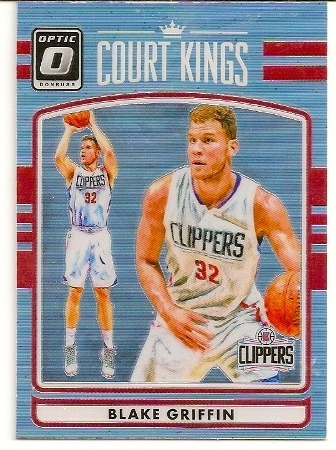 Los Angeles Clippers. 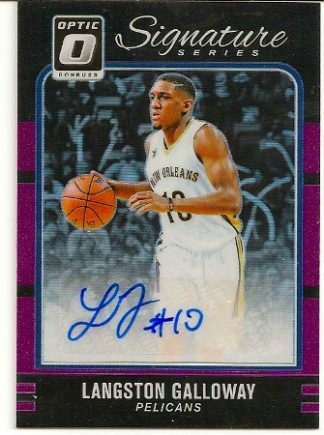 2016-17 Donruss Optic Signature Series Langston Galloway Rookie Card. New Orleans Pelicans, Sacramento Kings. 2016-17 Donruss Optic Kristaps Porzingis Basketball Card. 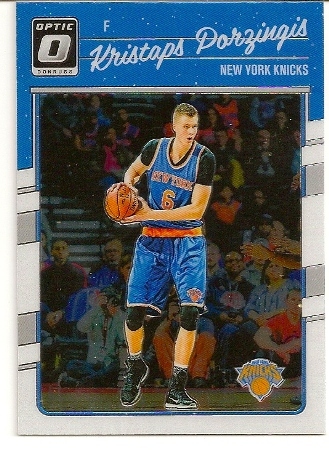 New York Knicks. 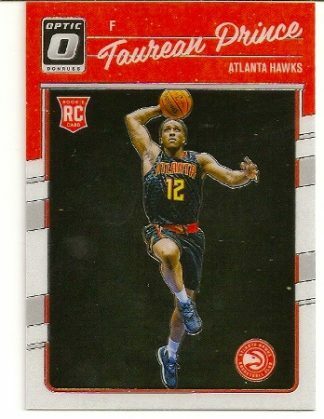 Taurean Prince 2016-17 Donruss Optic Rookie Card. Atlanta Hawks.